The services of a freight forwarder can vary between different companies but the main function of the freight forwarder is to act as an intermediary between the client who is hiring them and various transportation services that are involved in getting the product overseas to the customer. Our business is built on the premise of 'efficiency and transparency'. Our constant endeavor to adapt to rapidly changing business scenarios, handle any unexpected challenges, using our knowledge and expertise to enforce continuous improvement, improving customer satisfaction, and building confidence has helped us become one of the most preferred partners for logistical and cargos. 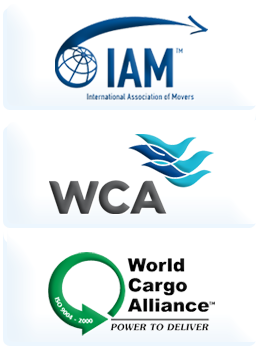 When you are looking for dedicated and trustworthy freight forwarding companies, why not turn to Intermodalmovers? With more than 20 years in the industry, we are a proven leader and have a deep commitment to our customers. Intermodalmovers is a full-service transportation and logistics provider offering airfreight, truckload, LTL, expedited, intermodal, project management, and specialized services. As one of the top freight forwarding companies, we have the expertise that allows us to prepare and process the documentation and perform related activities pertaining to international shipments. With transportation solutions including Air and Sea, North American Distribution (including Truckload and Less Than Truckload), 3PL Services, Warehouse Management and Intermodal, we can create a unique supply chain logistics solution that will allow you to focus on what matters most your core goals.